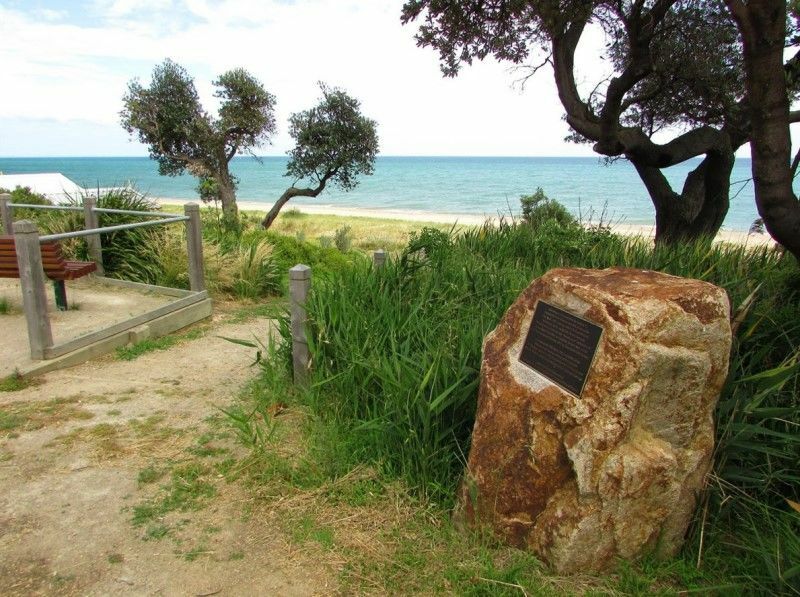 A monument commemorates the landing of Captain Matthew Flinders and his party near this location in April 1802. 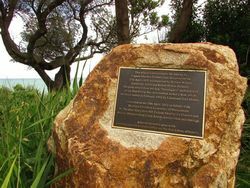 This plaque commemorates the landing by Captain Matthew Flinders near this point on the 27th April, 1802 accompanied by William Westall, Landscape Artist and Robert Brown, botanist. The party rowed from the ship "Investigator" anchored well inside Port Phillip Bay and climbed Arthur`s Seat, which had been named in February, 1802 by Lieutenant John Murray. Unveiled on the 28th April, 2012 on behalf of the Dromana Foreshore Committee of Management by The Hon. Greg Hunt, MP, Federal Member for Flinders and Shadow Minister for Climate Action, Environment and Heritage. 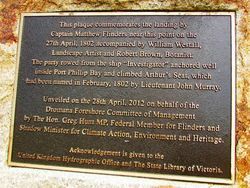 Acknowledgement is given to the United Kingdom Hydrographic Office and the State Library of Victoria.